Sleep apnea is a surprisingly common sleep disorder. Currently believed to affect 1 in 12 people worldwide, obstructive sleep apnea (OSA) symptoms are often more prevalent in males than females. However, sleep apnea can affect anyone regardless of age or gender. At its most basic, sleep apnea is a disorder which causes interrupted breathing during sleep. In some cases, sufferers stop breathing during sleep completely. For this reason, it is imperative for everyone to be familiar with OSA symptoms and sleep apnea risk factors. We all have bouts of sleeplessness from time to time. However, if you have insomnia or frequent poor sleep, it might be time to schedule a professional medical appointment. Insomnia is a leading sleep apnea risk factor and should never be taken lightly. Men usually don’t like to discuss sensitive matters such as erectile dysfunction. However, men who do experience problems in the bedroom are almost twice as likely to suffer from sleep apnea as men who don’t. Moreover, OSA symptoms and erectile dysfunction can be symptoms of low testosterone. For this reason, men should never feel uncomfortable having matters investigated. Healthy adults require an average of eight hours of sleep each evening. If you regularly wake during the evenings, this could be a sign that your brain isn’t receiving enough oxygen. Conversely, if you don’t remember waking but experience frequent early morning headaches, this too could be a sign of widening of blood vessels in the brain, caused by low blood oxygen levels. In both cases, frequent occurrences should spur sufferers to seek professional medical advice. Carrying excessive weight and poor lifestyle habits like alcohol and tobacco consumption, are considered significant sleep apnea risk factors. However, chronic nasal congestion, having an above average neck circumference, and having a family history of sleep apnea, can also increase the likelihood of sleep apnea developing now or in the future. When Should a Physician investigate OSA Symptoms? As a rule, any sleep disorder which leaves a person feeling fatigued and irritable on a regular basis should be appropriately investigated. 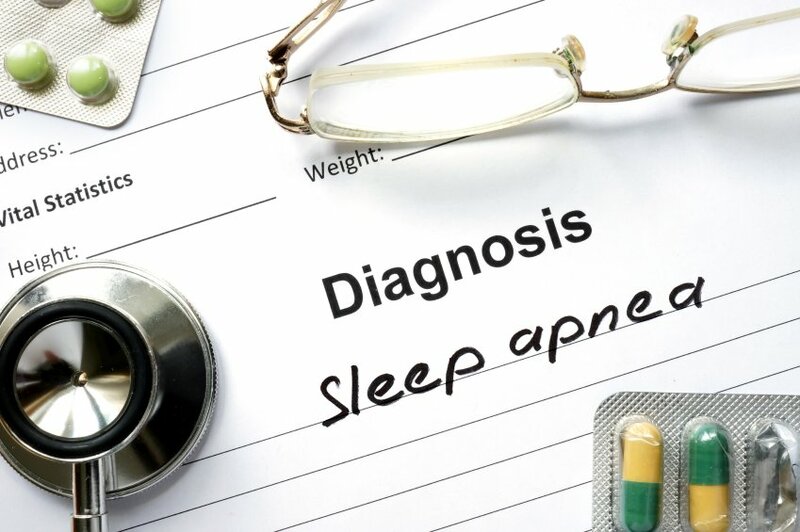 Moreover, sleep apnea can be effectively managed (and in some cases cured) after diagnosis. Patients should, therefore, always act sooner rather than later to bring symptoms to the attention of their physician.